In his Republic Day eve address to the Nation, the President also asserted that the country’s strength lies in is pluralism and diversity and that India has traditionally celebrated the argumentative” Indian; not the “intolerant” Indian. President Pranab Mukherjee addresses the nation on the eve of 68th Republic Day. 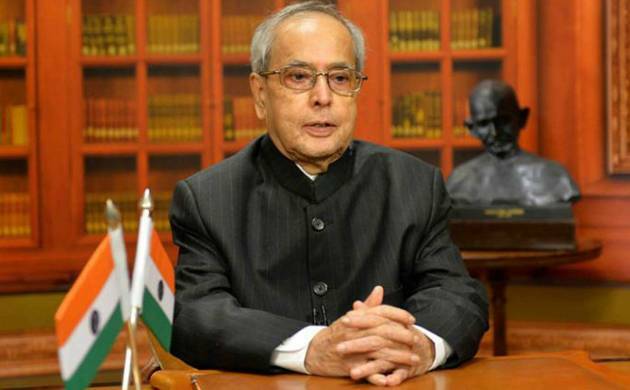 President Pranab Mukherjee supported simultaneous elections to Parliament and Assemblies on Wednesday apart from backing the demonetisation drive, two issues on which the central government has focused its attention. He asked the Election Commission to carry forward the idea of simultaneous polls in consultation with political parties. In his Republic Day eve address to the Nation, the President also asserted that the country’s strength lies in is pluralism and diversity and that India has traditionally celebrated the argumentative” Indian; not the “intolerant” Indian. “Multiple views, thoughts and philosophies have competed with each other peacefully for centuries in our country. A wise and discerning mind is necessary for democracy to flourish,” he said.Mukherjee underlined that strengths of India democracy but cautioned against disruptions in Parliament and State Assemblies.“We have a noisy democracy. Yet, we need more and not less of democracy,” he said. But, he said, it is right time to acknowledge that systems are not perfect and those imperfections have to be recognised and rectified.“The settled complacencies have to be questioned. The edifice of trust has to be strengthened. The time is also ripe for a constructive debate on electoral reforms and a return to the practise of the early decades after independence when elections to Lok Sabha and state assemblies were held simultaneously.“It is for the Election Commission to take this exercise forward in consultation with political parties,” Mukherjee said. The President said the depth and breadth of Indian democracy sparkles in the regular elections being held in panchayati raj institutions.“And yet, our legislatures lose sessions to disruptions when they should be debating and legislating on issues of importance. Collective efforts must be made to bring the focus back to debate, discussion and decision-making,” he said. On demonetisation, the President said it may have led to “temporary” slowdown in economy but will bring more transparency in the system.“Demonetisation, while immobilising black money and fighting corruption, may have led to temporary slowdown of economic activity. As more and more transactions become cashless, it will improve the transparency of the economy,” Mukherjee said.